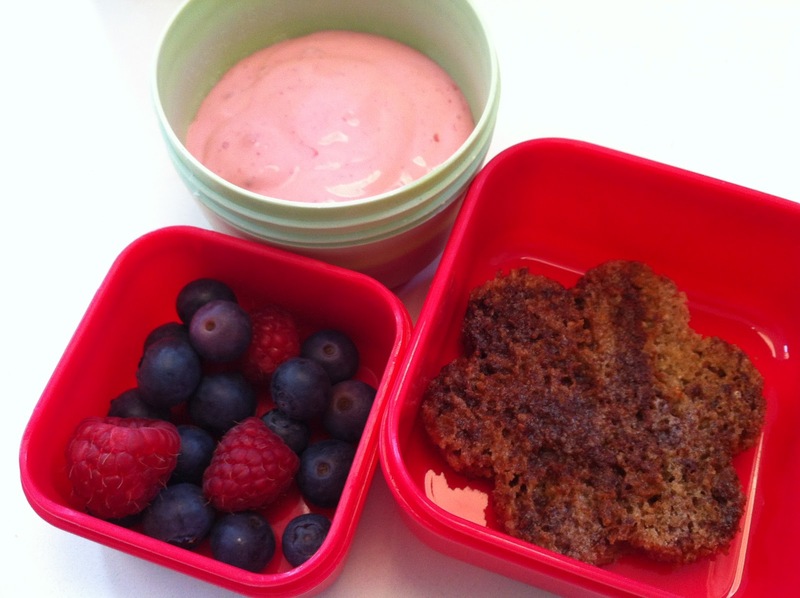 Lunch Box for School (cinnamon toast, raspberry greek yogurt, and berries) | what is clara eating today? Mix cinnamon and truvia. Sprinkle half of the cinnamon mixture on the bread. Place butter on the bread and sprinkle rest of the cinnamon mixture on top. Toast in toaster oven in medium setting. Let it stand to absorb all the melted butter.